Clarity Vision Care always appreciates feedback from our valued patients. To date, we’re thrilled to have collected 161 reviews with an average rating of 4.96 out of 5 stars. 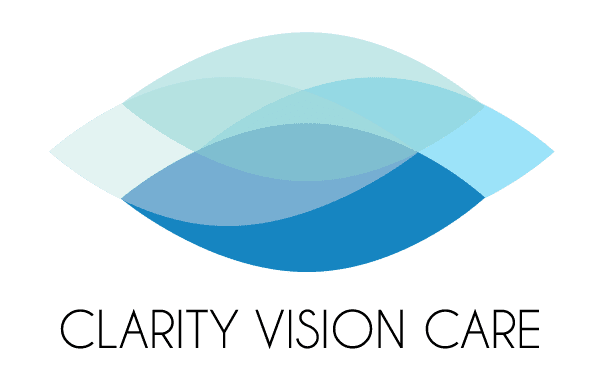 Please read what others are saying about Clarity Vision Care below, and as always, we would love to collect your feedback. I feel very confident in the care I am getting from this doctor. He takes time to listen and is attentive. I would recommend him. The customer service is outstanding. Everyone worked quickly to help get everything setup and processed. I had no wait for my appointment, so after signing initial forms I went right to the tests they perform. The Doc saw me not even 5 minutes after my tests were done. He was very friendly and made the entire process an overall great experience. If you're looking for a great experience then look no further. I'll be making all my appointment here moving forward. Extremely professional, thorough, and friendly. I would recommend Dr. Frazee to anyone. Thank you! Professional & personable experience. I have a high regard for staff & Dr. Frazee's knowledable experience. Thank you for taking such good care. In and out in no time. My visit was efficient, friendly and thorough. This is the first time I've had to wait an abnormally long time to see Dr..Frazee. The patient before me required a longer visit than expected so that affected the next appointments. Dr Frazee is gracious and kind. If a staff member could have told me Dr. Frazee was going to be longer than normal, or somehow been able to let the doctor know his next appointment was waiting, he may have been able to see after a reasonable wait. This is the only time I have ever waited for longer than normal. Everyone at Dr Frazee's office made my visit very pleasant. The service is beyond compare.The staff is extremely friendly and knowledgeable, and the doctor is personable and very experienced. He is both an excellent talker and a listener. Everyone was super helpful from the moment I opened the door. Dr. Frazee even gave me restaurant recommendations for my trip to New York! I always enjoy my trips to the optometrist. I had a wonderful experience with Dr. Frazee and his staff as well! Doc Explained everything and was personable and witty. The office visit was rather quick considering the screening I personally needed done! I am BEYOND satisfied with this Doctor and his staff! I would highly recommend them!!! Short precise appointment probably due to better equipment for testing before I saw Dr Frazee. Comfortable office. Fast, efficient and friendly. Dr Frazee and his people are the best!